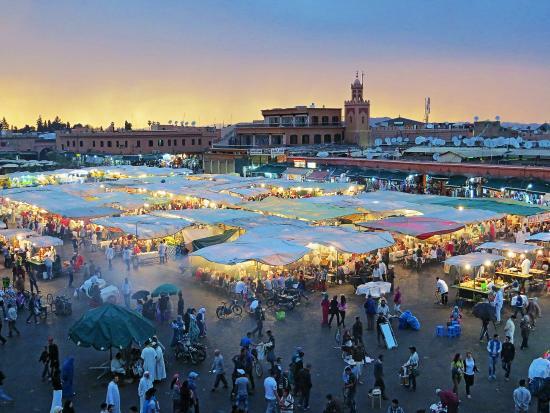 From wandering around the souks to watching the sunset over the Koutoubia Mosque, and tasting delicious Moroccan food; enjoy a memorable day in Marrakech. Try to have spare coins on you for tips — anyone who helps you will expect a coin. Agree the fare and destination before getting in a taxi. 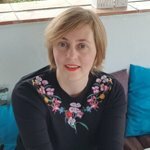 If you take photos of people on the street (snake charmers etc. ), they may ask you to pay. Wear comfortable shoes for lots of walking. Wear discreet clothing — no swimwear or revealing clothes — and have a cover-up ready for some places. A horse-drawn carriage is a great way to see the city. 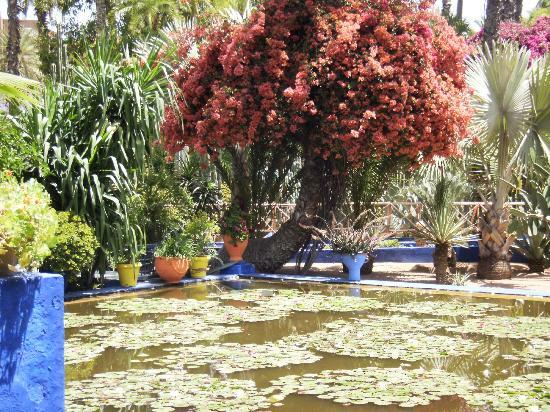 This botanic garden was created in the 1920s by French artist Jacques Majorelle, and was later owned by Yves Saint-Laurent. 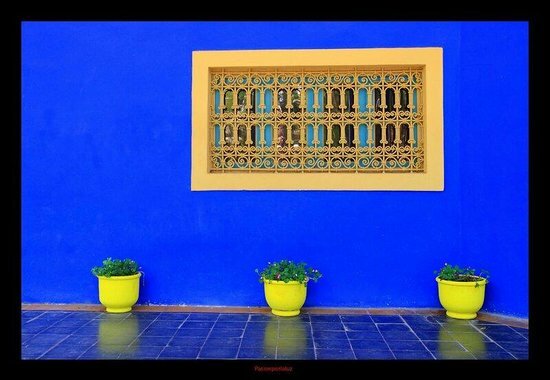 There are 15 species of birds living in the gardens — and the iconic cobalt blue has inspired many interior designers. Arrive early before the group tours. (The gardens usually open at 8am, but check times in advance). 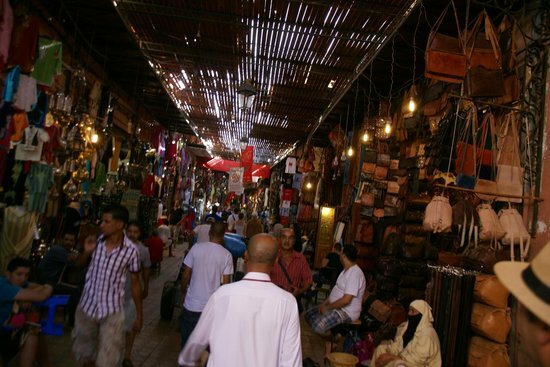 From spices to colored lamps to leather goods, the Marrakech Souk is packed with different things for you to buy. Get ready to barter! If you keep to the right as you walk along you are less likely to be in the way of the motorbikes, scooters, donkeys, and handcarts in the souk. 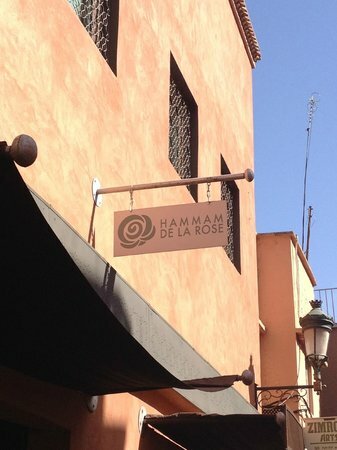 This is the perfect place to stop and refuel after shopping in the souks. 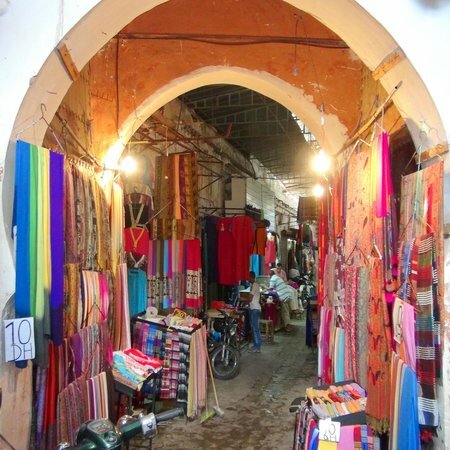 With views over the colorful stalls below, it's a great place to unwind and cool off. The set menu is great value and makes choosing much simpler. 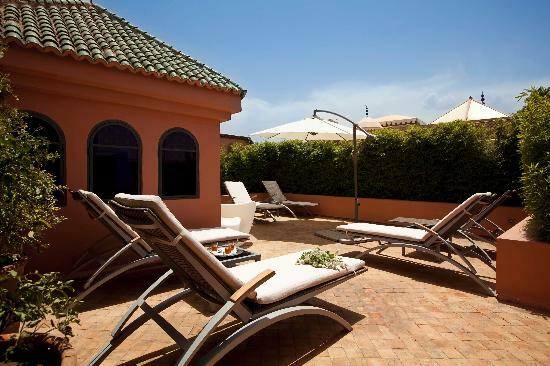 Enjoy extras such as WiFi and water misters. 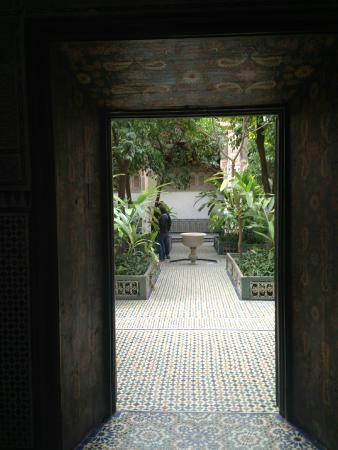 This grand palace is close to the souks and well worth a visit. 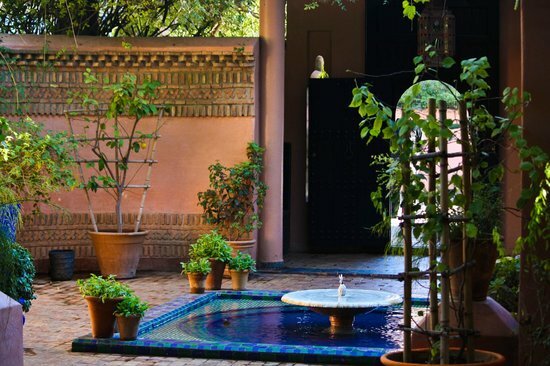 Contemplate the ornate designs of the walls and the huge expanses of gardens. 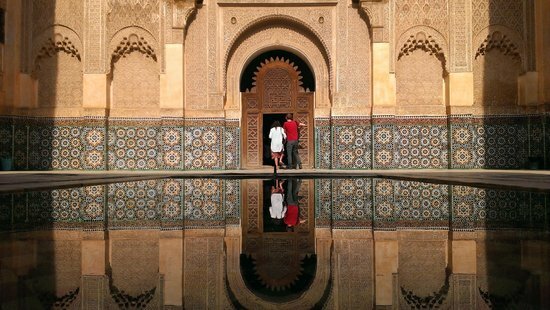 Plus, inside the Bahia Palace you can enjoy a more serene atmosphere than the busy streets nearby, a great contrast to your souk visit. 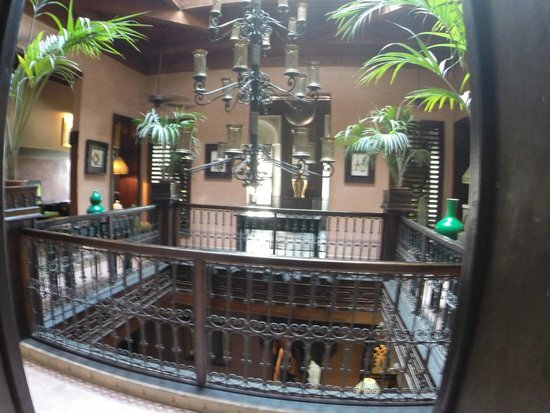 Not all areas of the palace can be visited by the public. 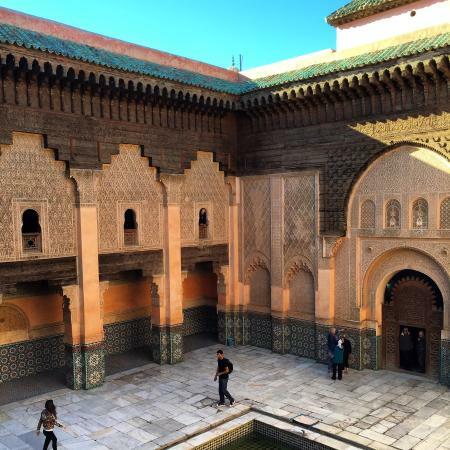 This Madrasa (educational institution) is the largest in Morocco. 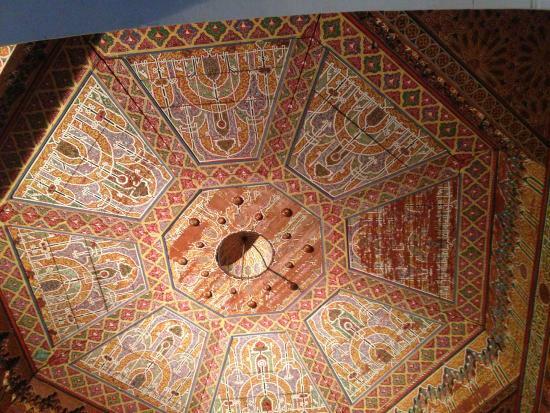 The college was founded in the 14th century and there are over 100 small dormitories for the students that would have studied the Koran here. 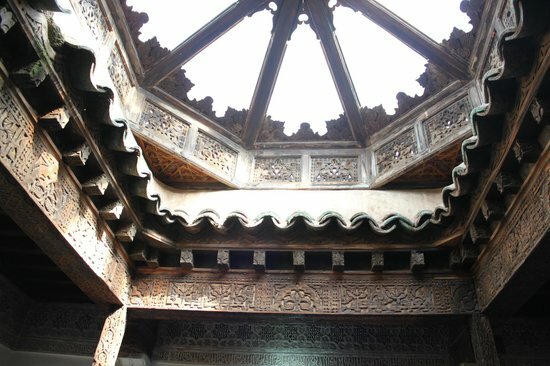 The courtyard is elaborately carved in cedar wood and marble. Peep through the windows to get a unique view of the streets below. 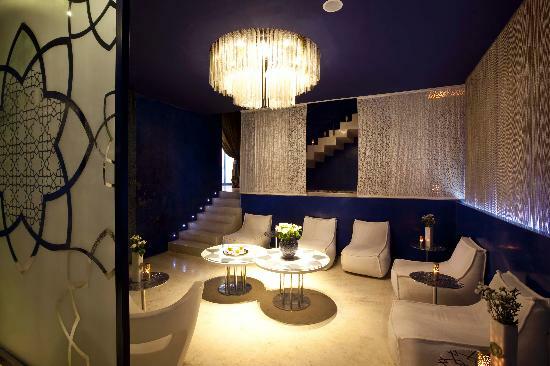 A visit to Marrakech isn´t complete without a session at the Hammam — this one is modern and doesn't cost the earth. 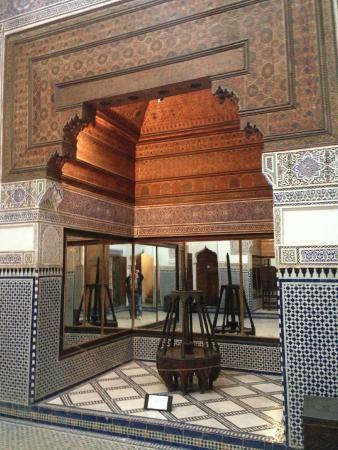 This is a more modern unisex Hammam — some only allow men or women. 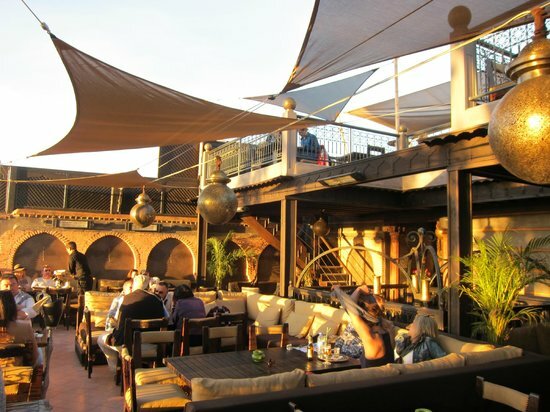 Kosy Bar is a welcoming place for travelers and expats. 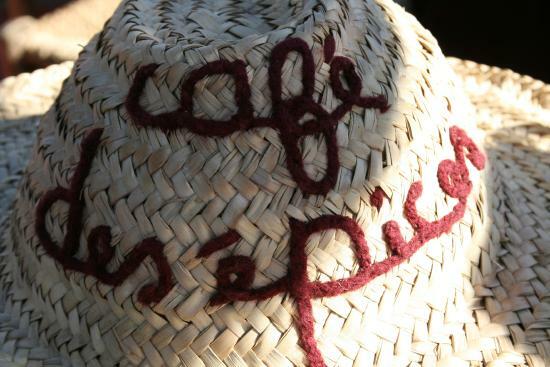 Expect good food and a laid back atmosphere. 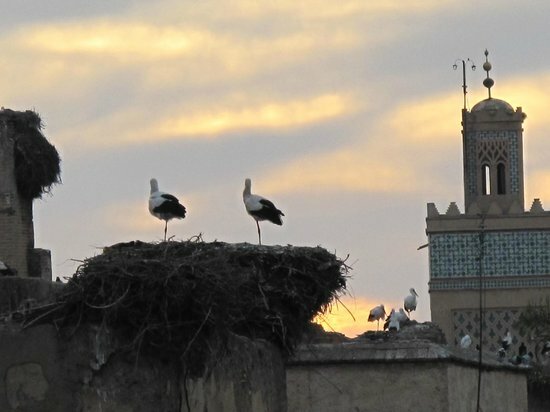 Try to arrive before sunset to see the storks circling at dusk. 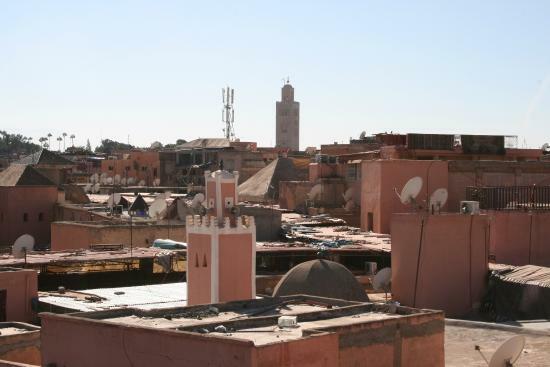 There are a fabulous views of the Koutoubia Mosque and the sunset from the terrace. 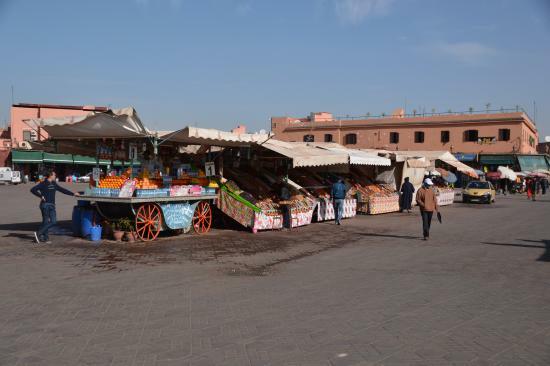 A large market and a cultural meeting place, everyone who visits Marrakech should see this square. 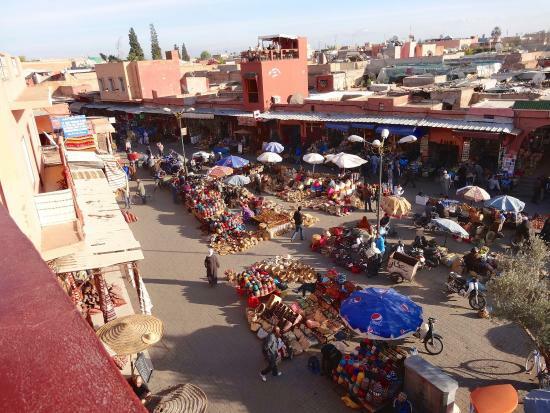 Jemaa el Fna is filled with different stalls in the day and open air restaurants at night. 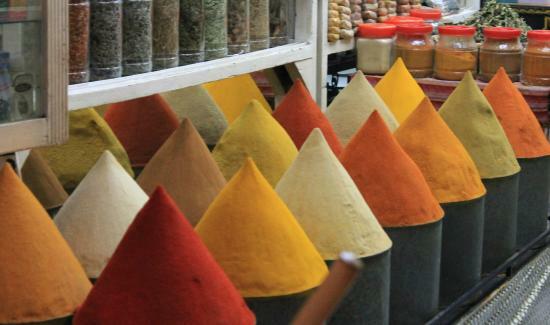 Look for the Berber storytellers and snake charmers at one end of the square. 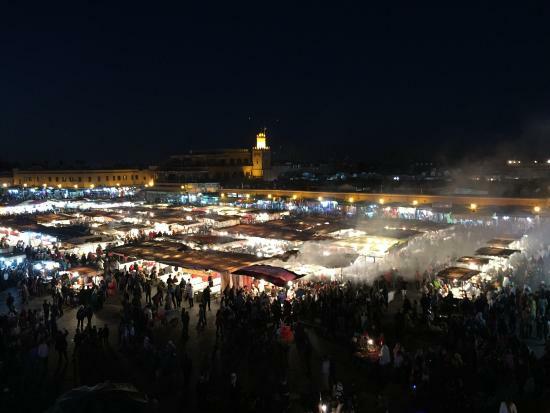 Before heading over the Jemaa el Fna, ask your accommodation/locals/bat staff for some food stall recommendations (each one has a number).